We are UK manufacturers of custom, made to order springs. 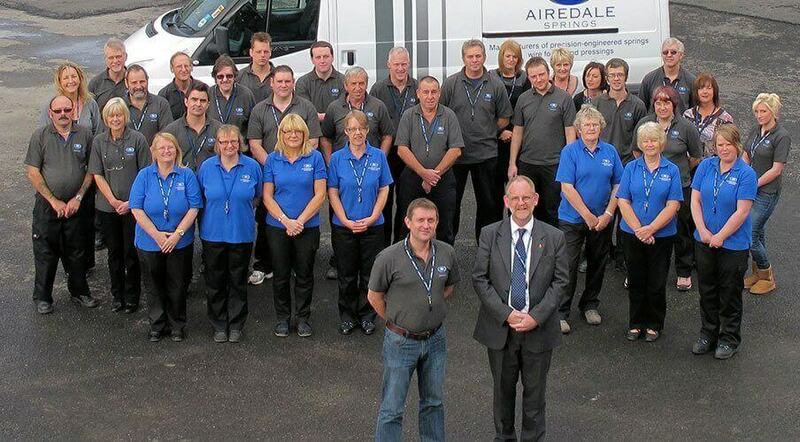 Welcome to Airedale Springs, a leading spring manufacturer in the UK with an enviable global reputation. Experienced Spring Manufacturers, Makers and Suppliers. For more than 70 years, we have been manufacturing and giving design assistance to many clients for springs for various technologies, transforming innovative ideas into fully-functioning products for an array of sectors. Throughout this time, we have had the pleasure of working with a number of high profile manufacturers and inventors, such as the masterminds behind the Brompton Bicycle. We are experts in all industrial springs and wire forms, ensuring that your product is optimised as soon as we receive your enquiry. 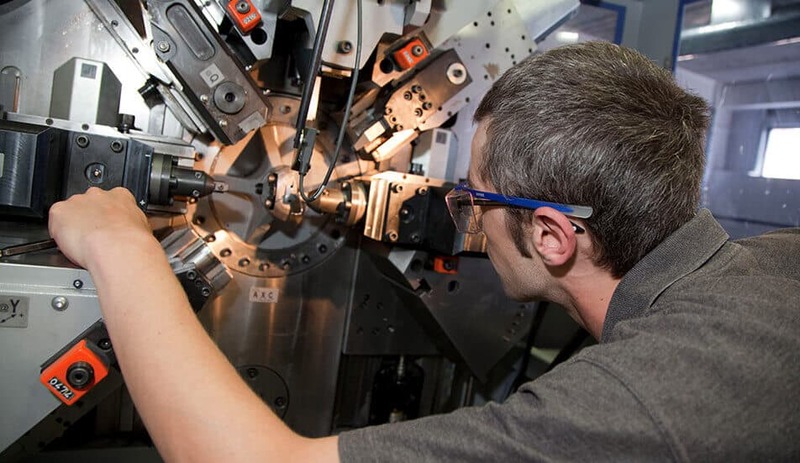 Whether you require us to design a spring for you to try in your product or already have the completed specification, we have the expertise and capabilities to fulfil your order. As a family business, we pride ourselves on the training of our staff and the quality of the springs they make, ensuring that you get the desired results the first time around. 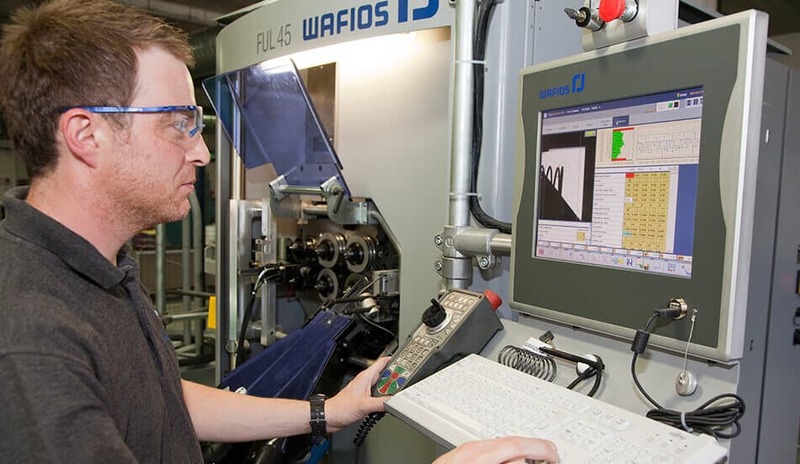 Each spring is made with extreme precision using our state of the art CNC machinery, and is quality controlled to ensure that your springs meet their known specification. If the carbon footprint of your product is also important, then Airedale Springs has the only solar-powered plant in the UK, generating approximately 20% of our energy requirements. Furthermore, we are able to discuss with you the process and the spring types that you need. We have common requests for compression springs and extension springs, but we also deal with lesser known and custom spring designs, such as garter springs. If you’re unsure about the type or size of spring that you require, or the material that you should use, we are able to answer these questions and more. So if you’d like to learn more about how Airedale Springs can assist you, or to discuss our services further, please don’t hesitate to get in touch by calling 01535 643 456.